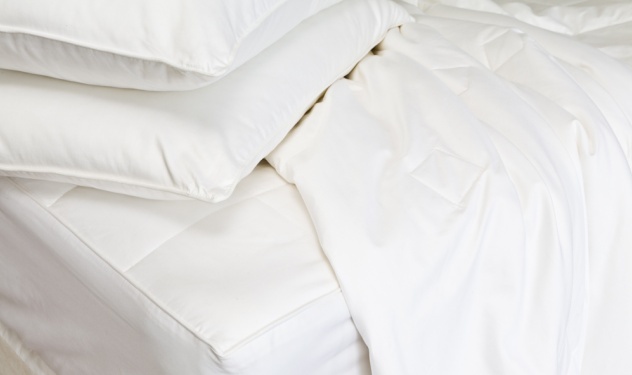 By enhancing the natural heat regulating qualities of silk we aim to create the perfect nights sleep. Long-strand silk fibres are just as warm but lighter than traditional duvets which allows our snug 9-11 tog Spring/Autumn duvet to drape comfortably over your body. Balancing firmness and comfort to provide the right level of support, our silk filled pillows are available in Soft or Regular. Our silk filled mattress toppers are soft and natural and they help your body regulate its heat throughout the night. The topper is around 1.5cm thick, and fits a mattress of approximately 26cm deep.